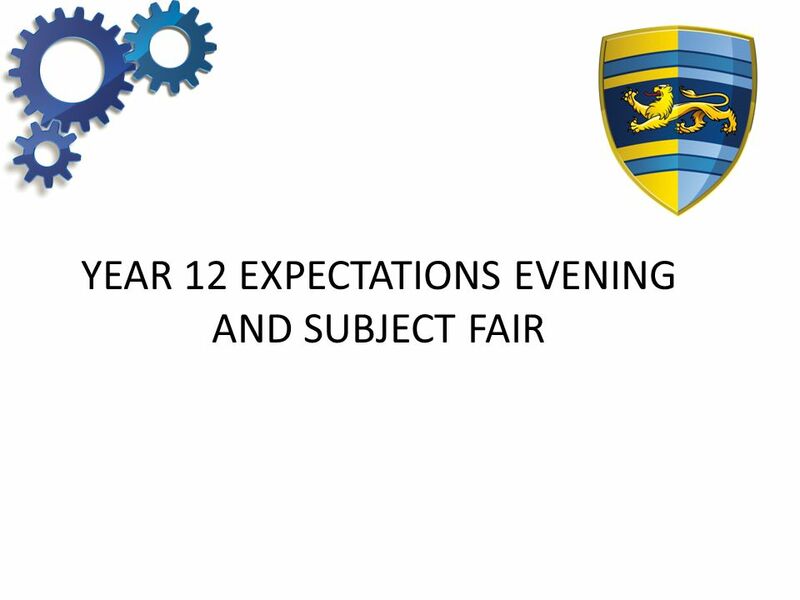 YEAR 12 EXPECTATIONS EVENING AND SUBJECT FAIR. 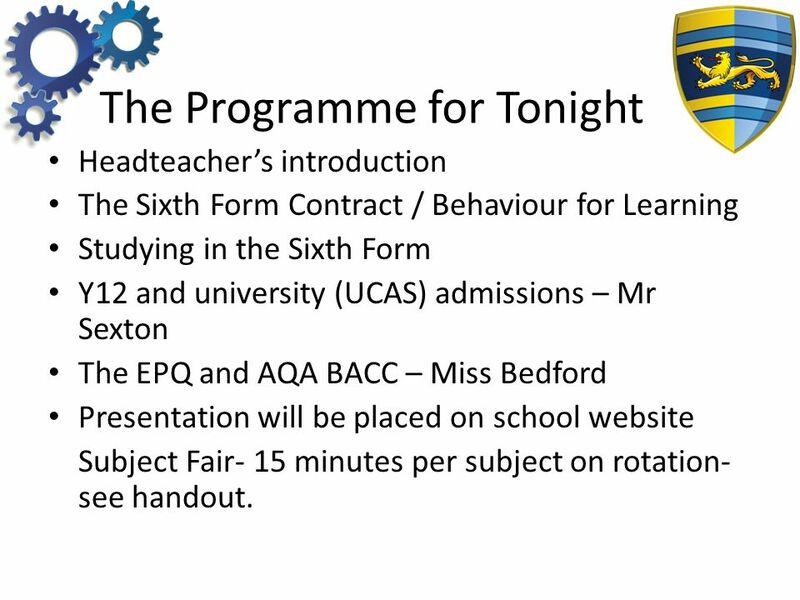 The Programme for Tonight Headteacher’s introduction The Sixth Form Contract / Behaviour for Learning Studying. 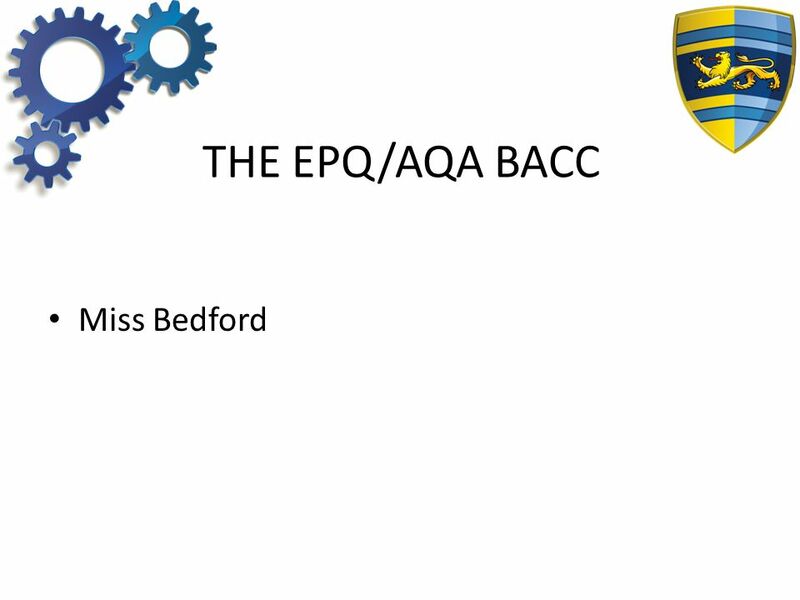 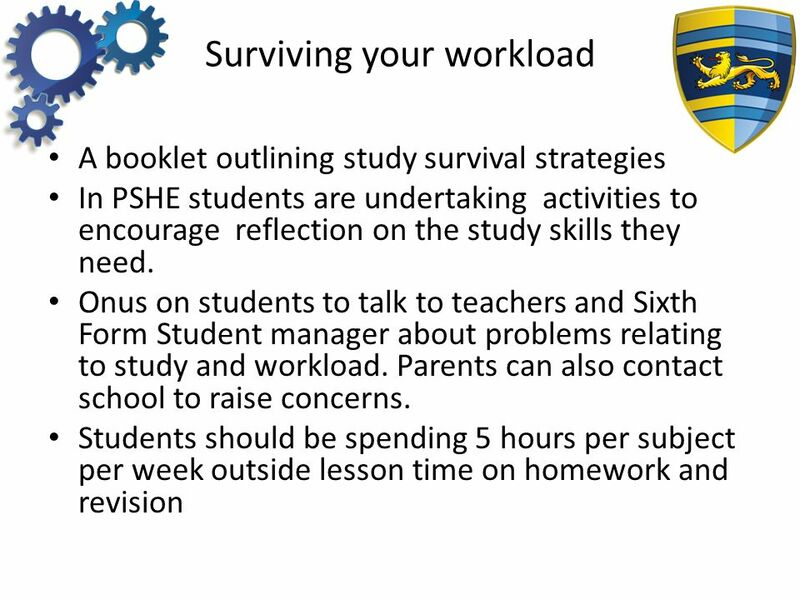 2 The Programme for Tonight Headteacher’s introduction The Sixth Form Contract / Behaviour for Learning Studying in the Sixth Form Y12 and university (UCAS) admissions – Mr Sexton The EPQ and AQA BACC – Miss Bedford Presentation will be placed on school website Subject Fair- 15 minutes per subject on rotation- see handout. 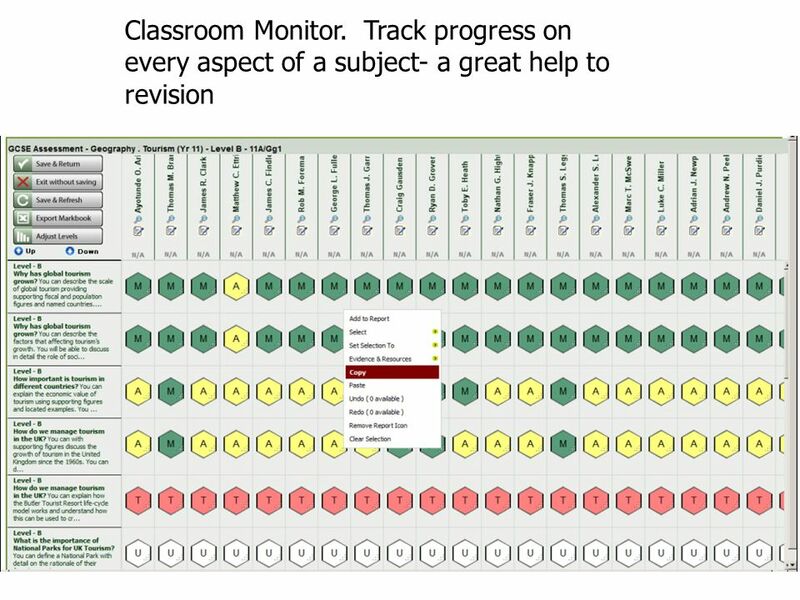 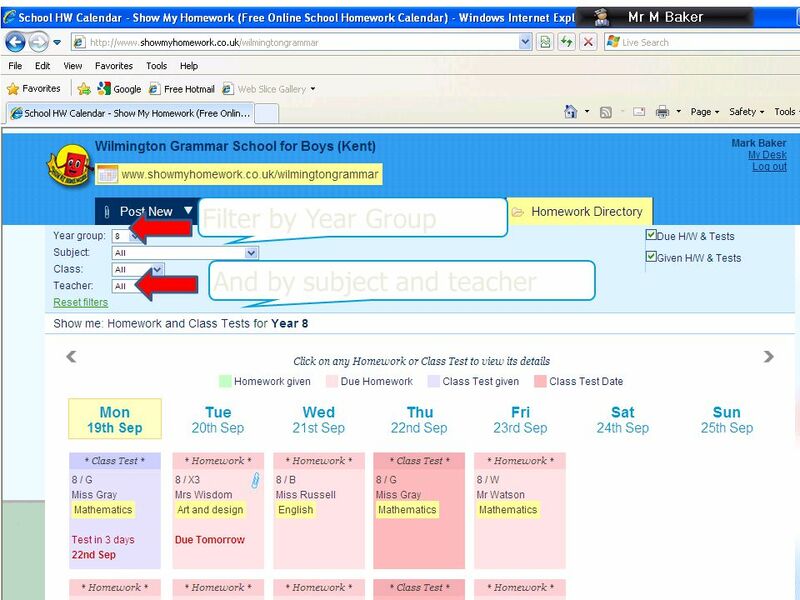 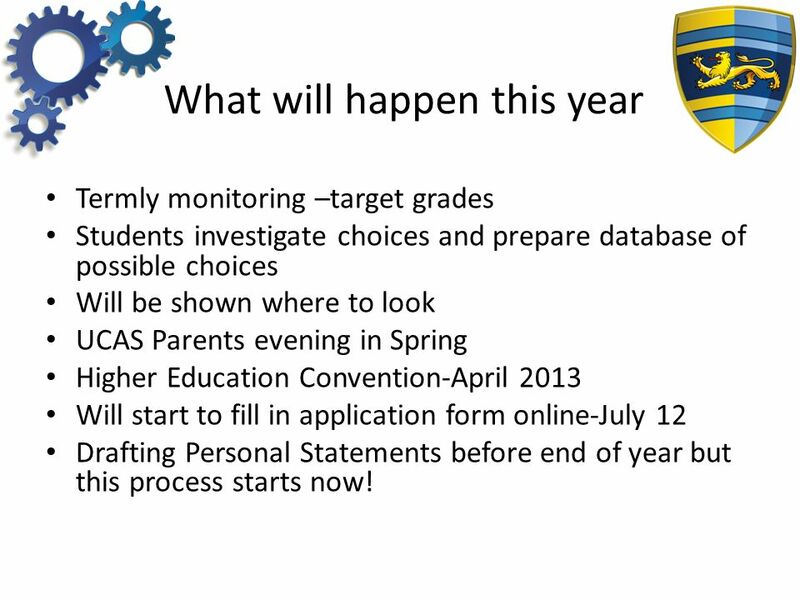 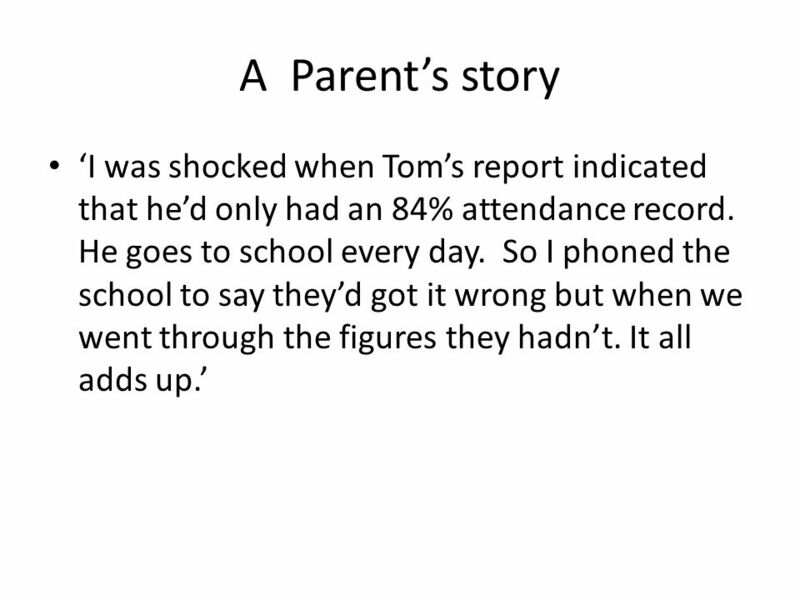 25 What will happen this year Termly monitoring –target grades Students investigate choices and prepare database of possible choices Will be shown where to look UCAS Parents evening in Spring Higher Education Convention-April 2013 Will start to fill in application form online-July 12 Drafting Personal Statements before end of year but this process starts now! 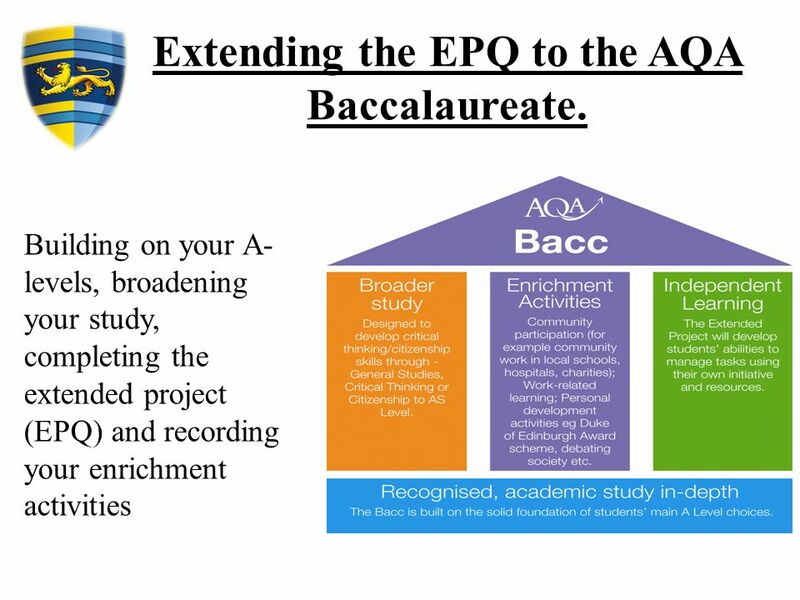 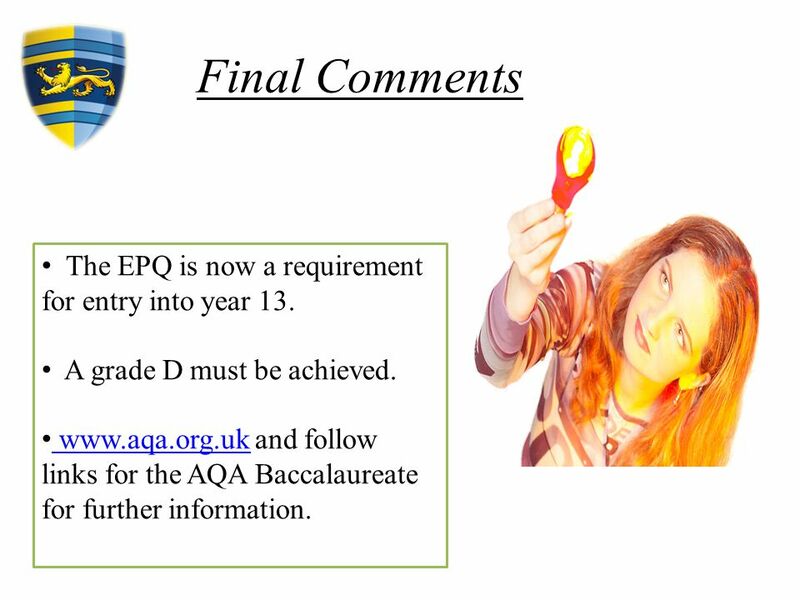 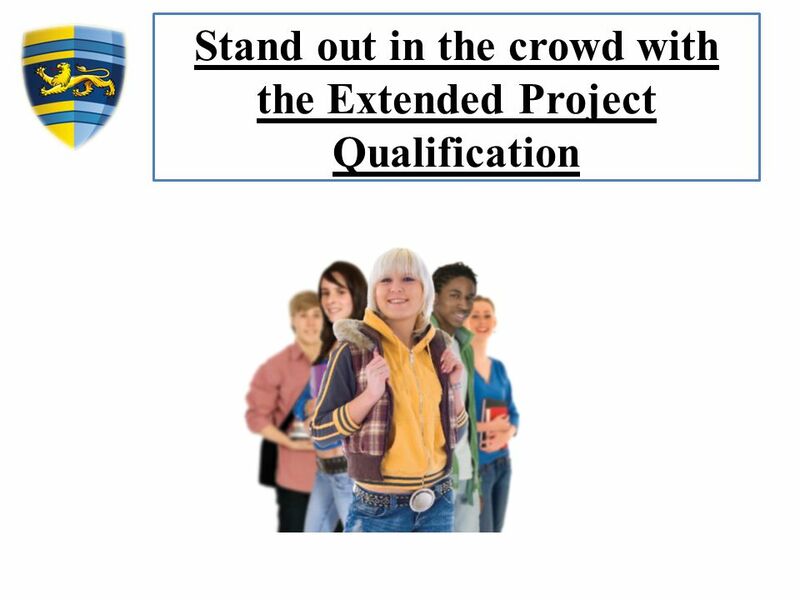 34 o Students who complete the EPQ achieve and develop skills that can help further their education and career possibilities o it is enjoyed by students who gain a sense of achievement o universities have indicated they support the extended project alongside A-levels o it carries 70 UCAS points to A*. 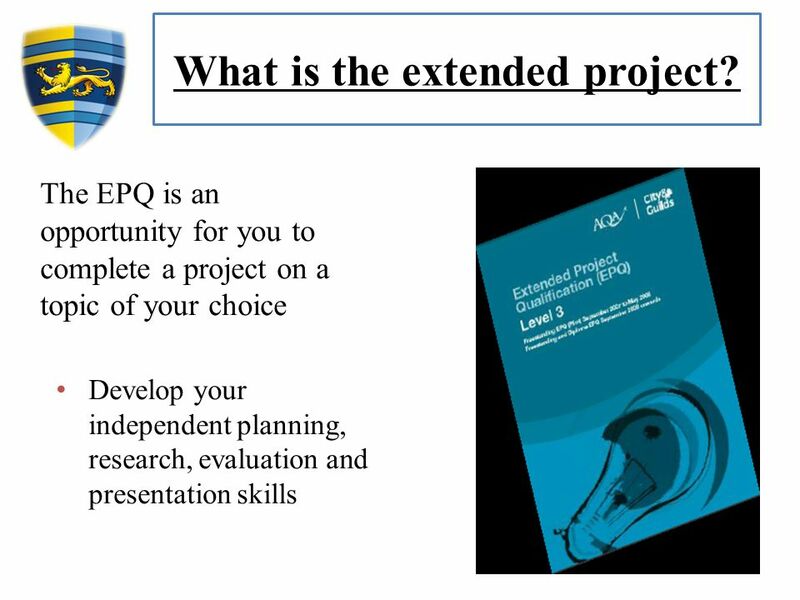 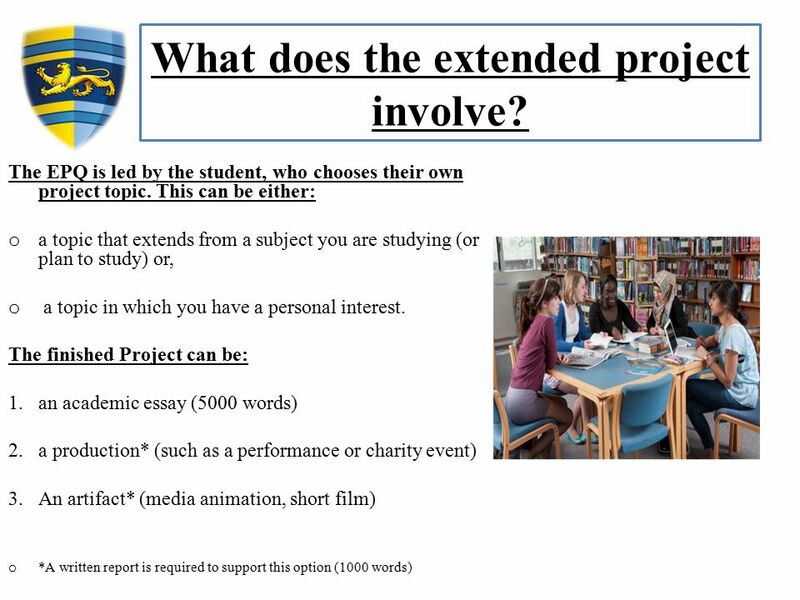 Why the extended project? 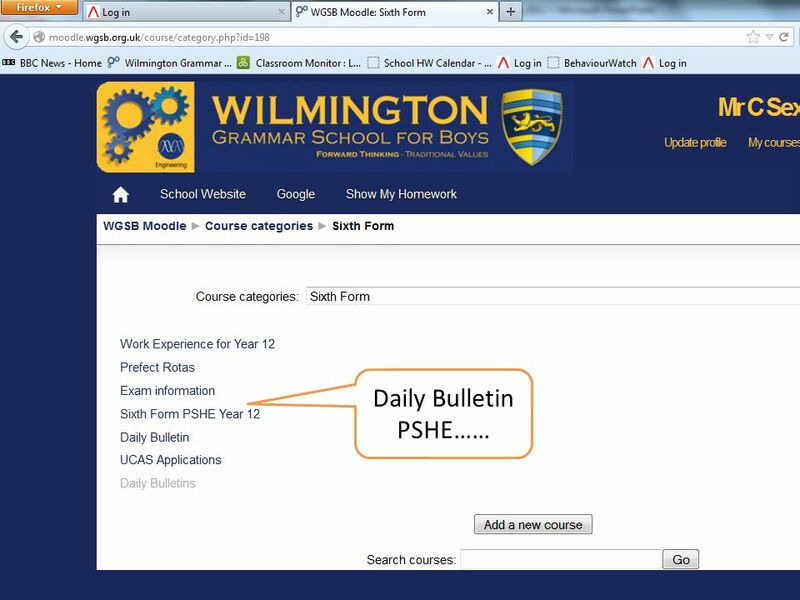 38 Contact details Please ensure you take away our contact details. 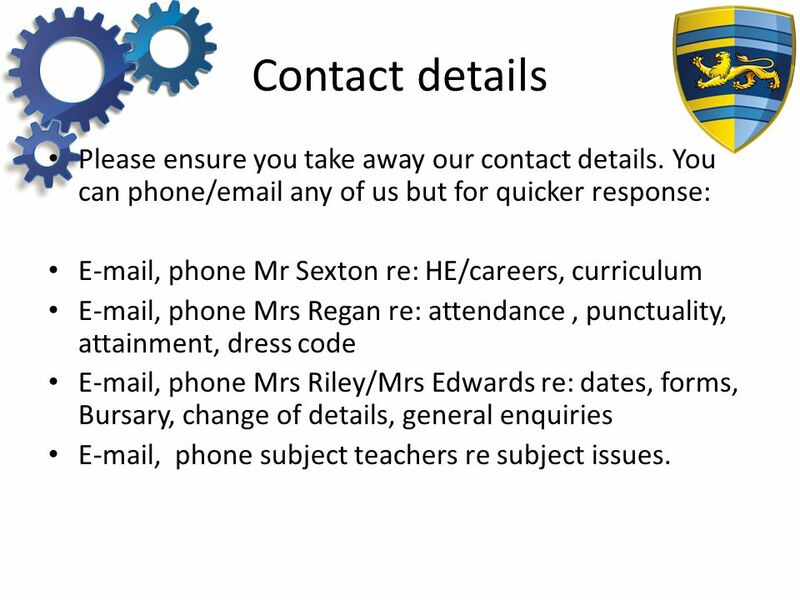 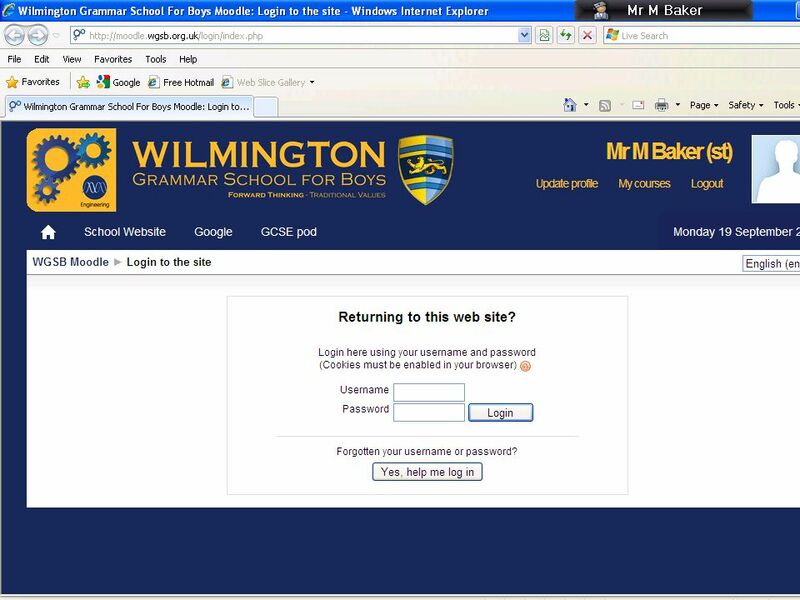 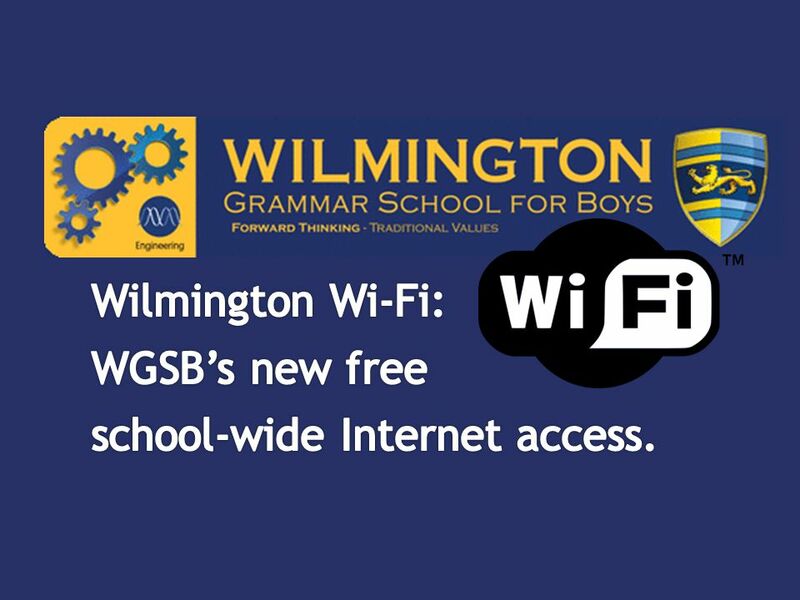 You can phone/email any of us but for quicker response: E-mail, phone Mr Sexton re: HE/careers, curriculum E-mail, phone Mrs Regan re: attendance, punctuality, attainment, dress code E-mail, phone Mrs Riley/Mrs Edwards re: dates, forms, Bursary, change of details, general enquiries E-mail, phone subject teachers re subject issues. 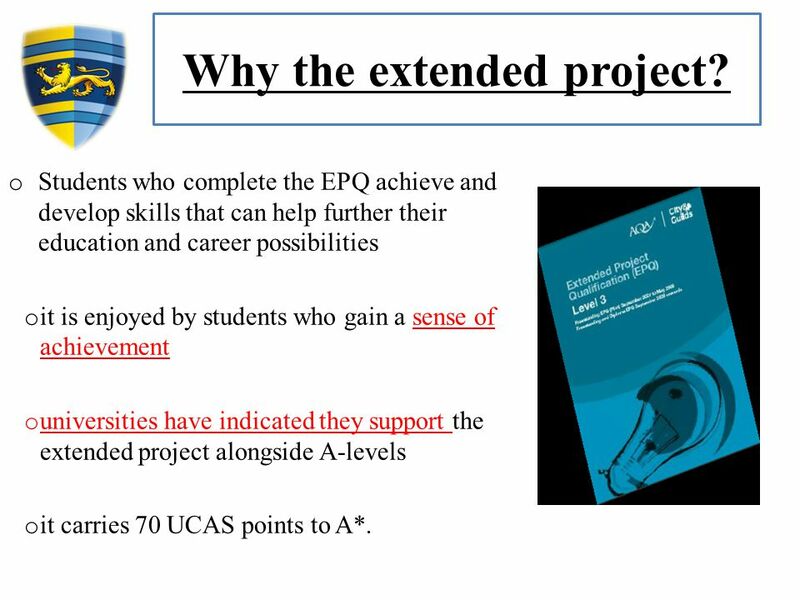 Download ppt "YEAR 12 EXPECTATIONS EVENING AND SUBJECT FAIR. 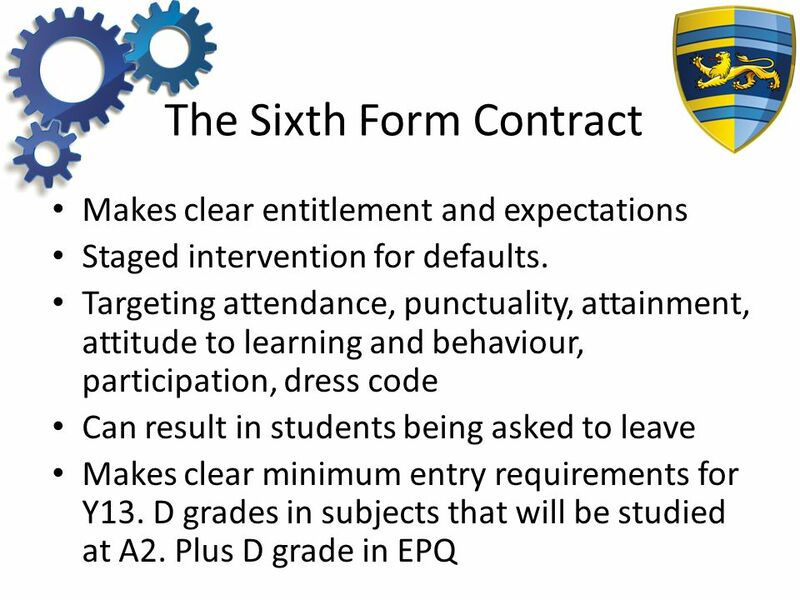 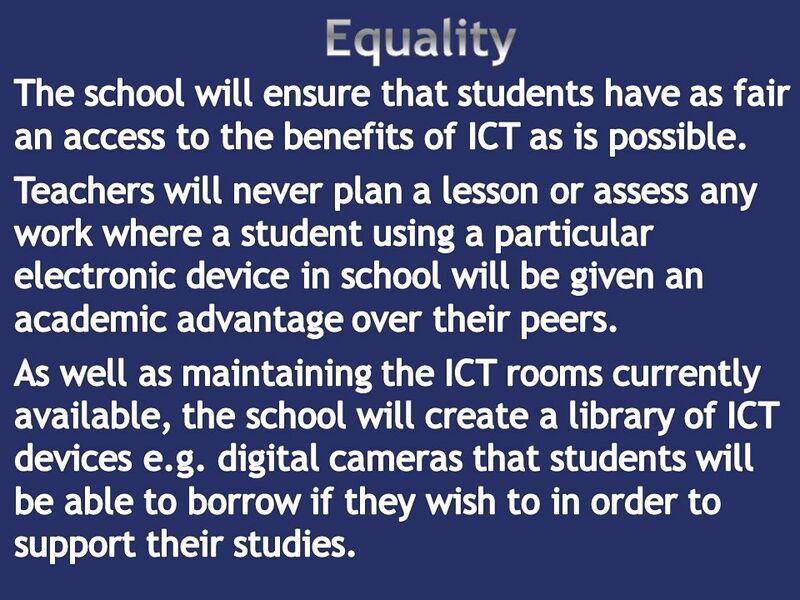 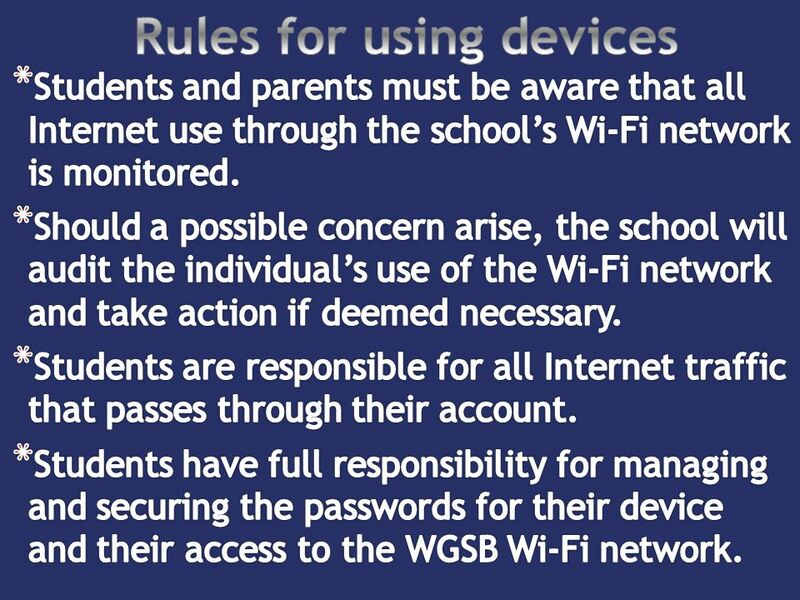 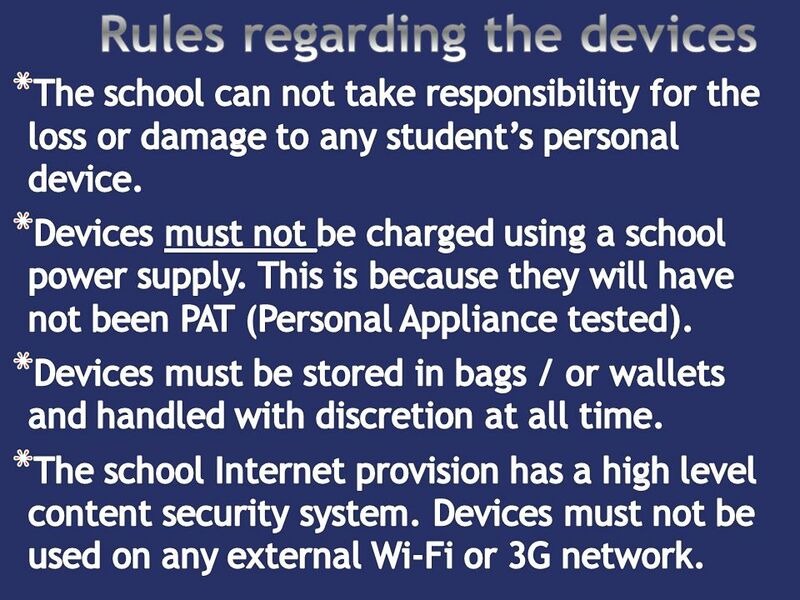 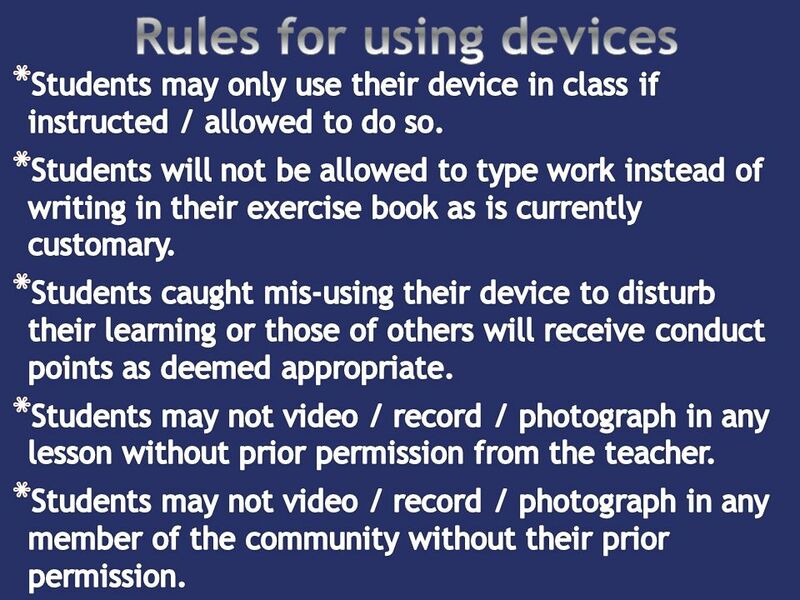 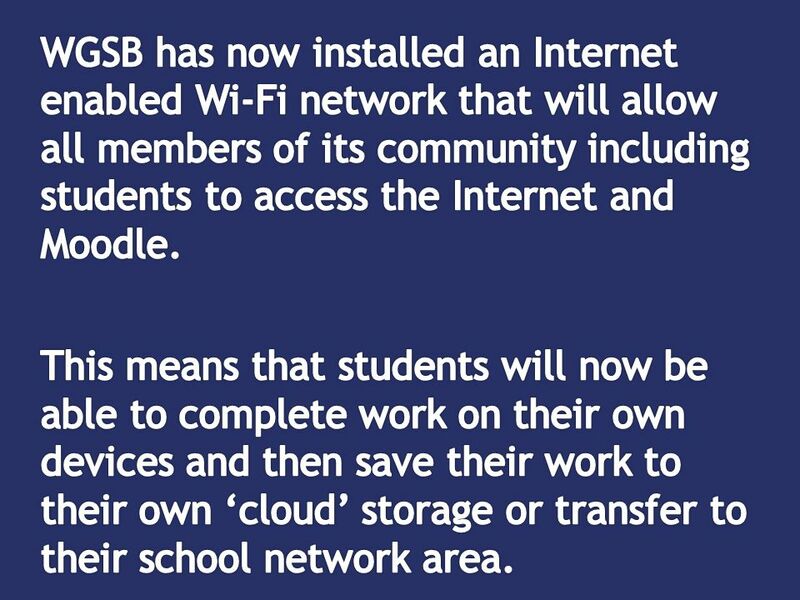 The Programme for Tonight Headteacher’s introduction The Sixth Form Contract / Behaviour for Learning Studying." 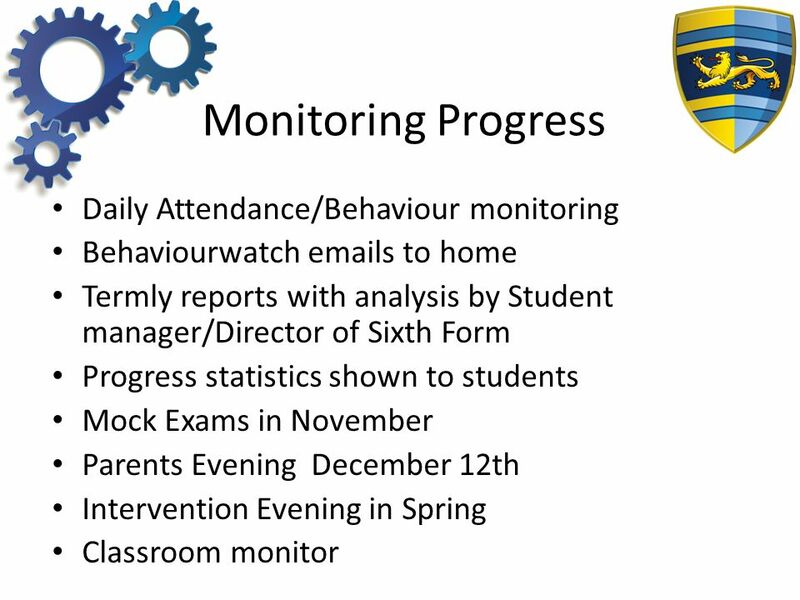 Welcome to our Year 10 target setting evening March 2014. 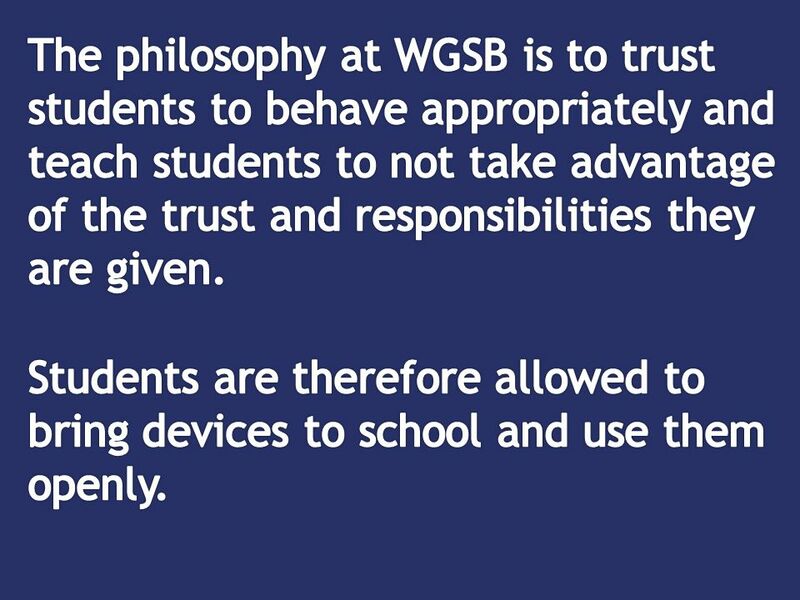 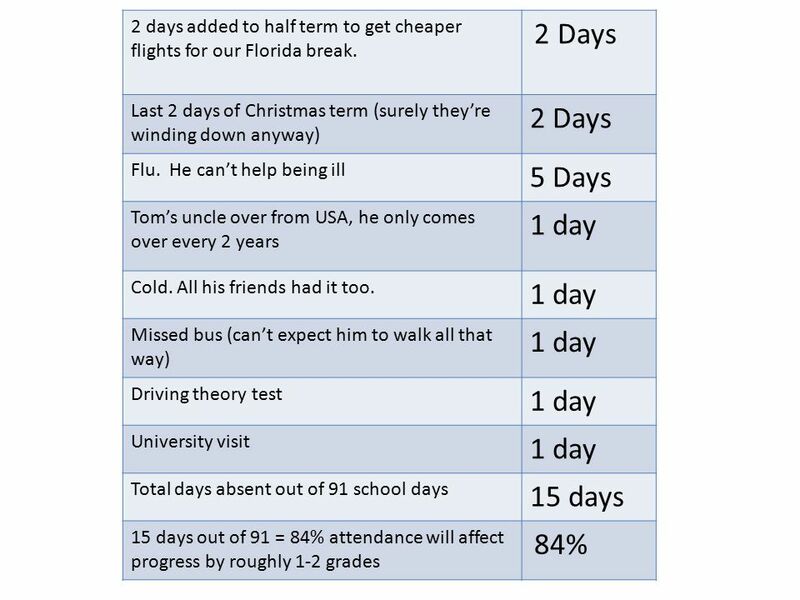 Year 12 Expectations. 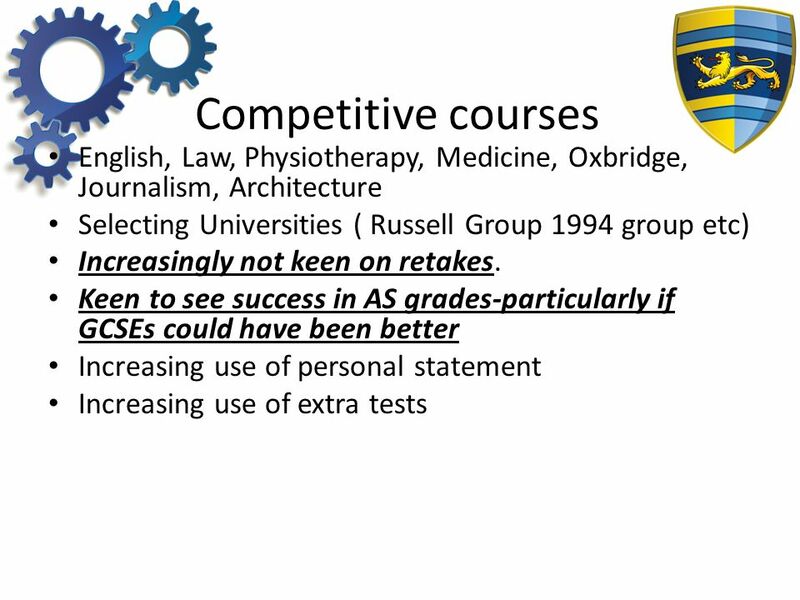 The Importance of Beginning the Journey Well 3“TOGETHER WE LEARN, ACHIEVE AND SUCCEED” Commentator - ‘At what point did you realise. 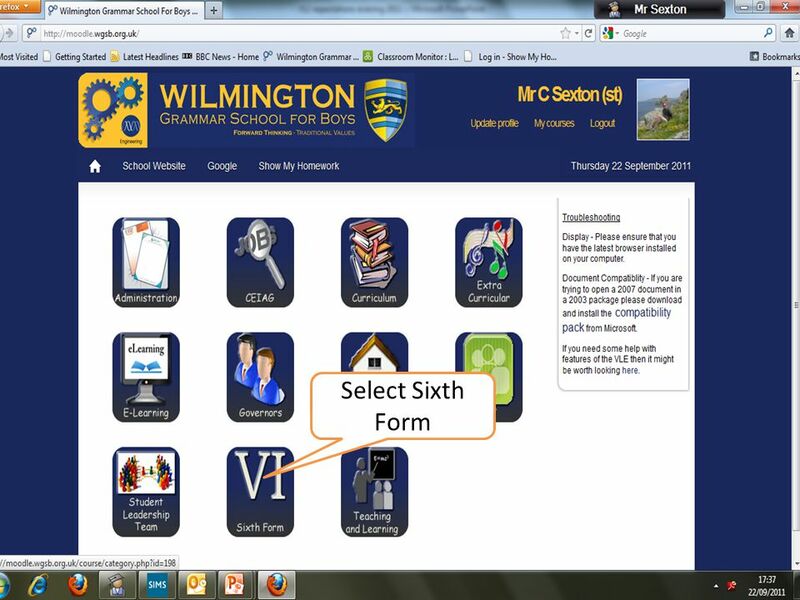 Year 10 Information Evening Monday 17 th September 5 – 6pm. 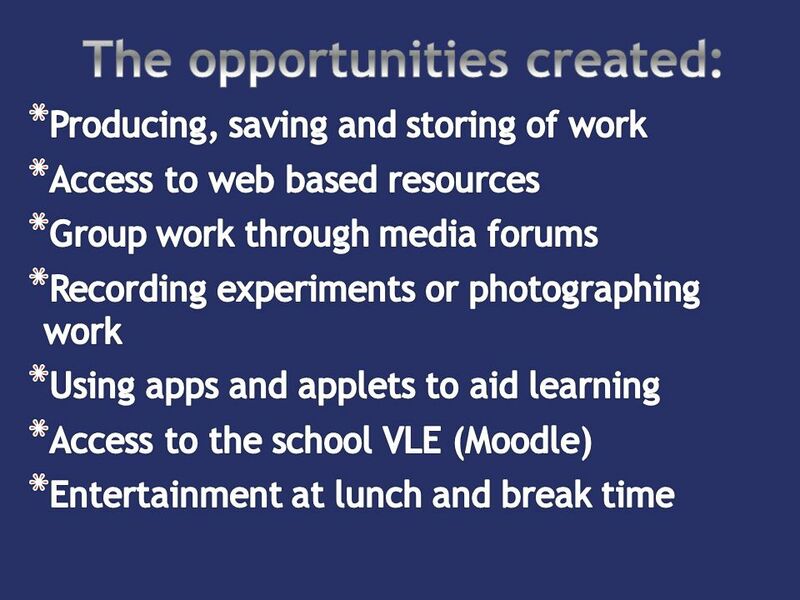 WELCOME TO Stoke Park School and Community Technology College Prospective Sixth Form Evening Thursday 15 th January 2009. 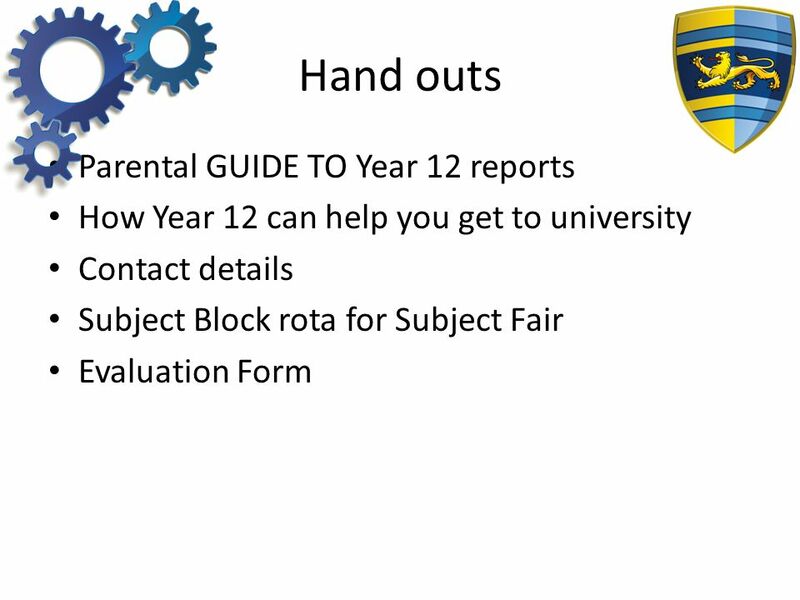 The Programme for Tonight The UCAS Process student finance alternatives – Mr Sexton - Dean Gonsalves Queen Mary College London Personal statements, Applications. 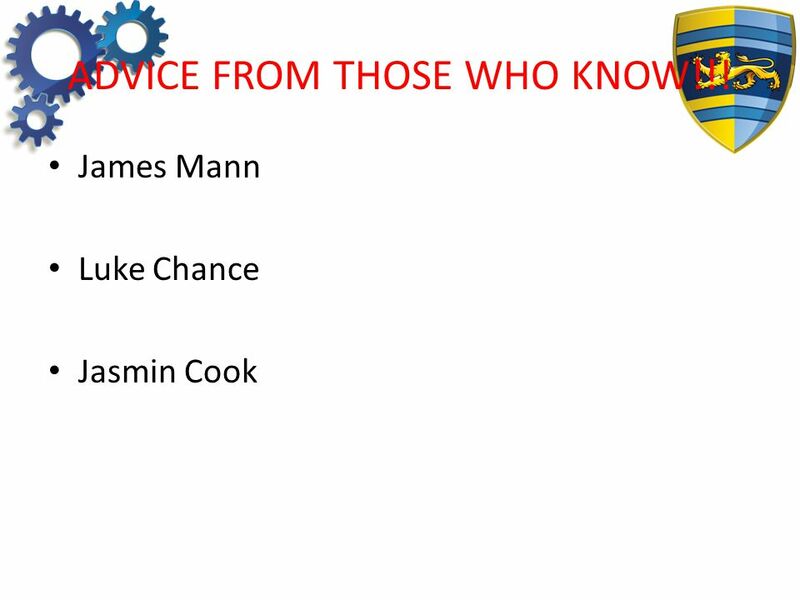 The Programme for Tonight Key note speech ‘Why go to university’ Jade Wheeler University of Surrey The Apply process -Mr Sexton Break – informal questions. 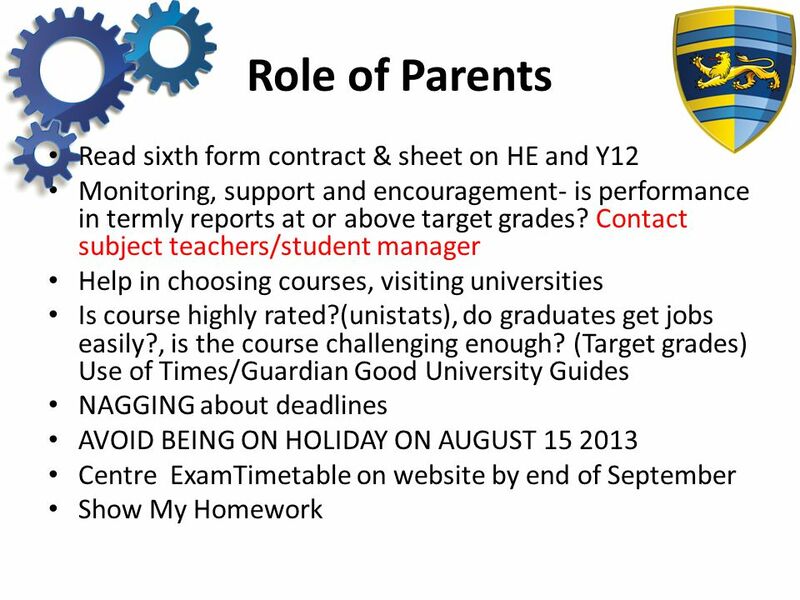 Year 12 Parents’ Information Evening 2014 Mrs Boardman Assistant Headteacher Director of Sixth Form at St Gregory’s Ms Colin Head of Sixth at St Mark’s. 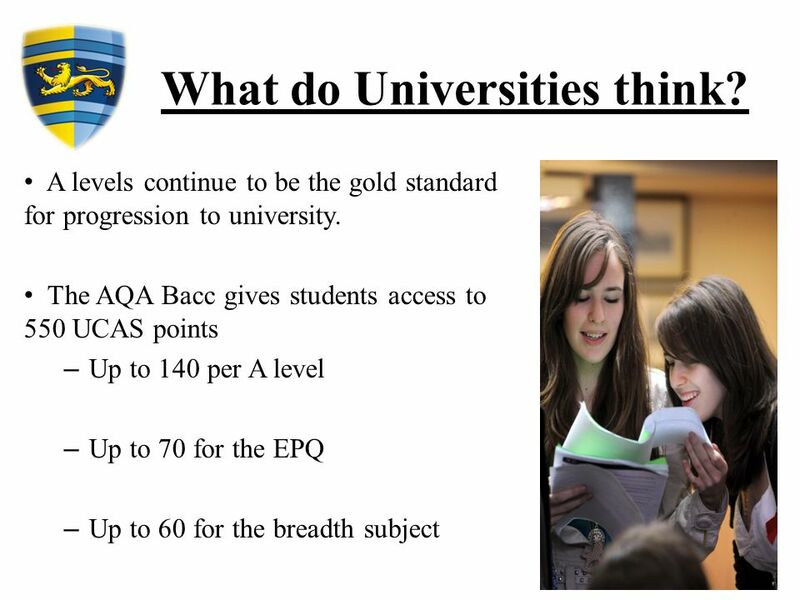 UCAS Open Evening 10 th February Annabel Thompson Head of Careers. 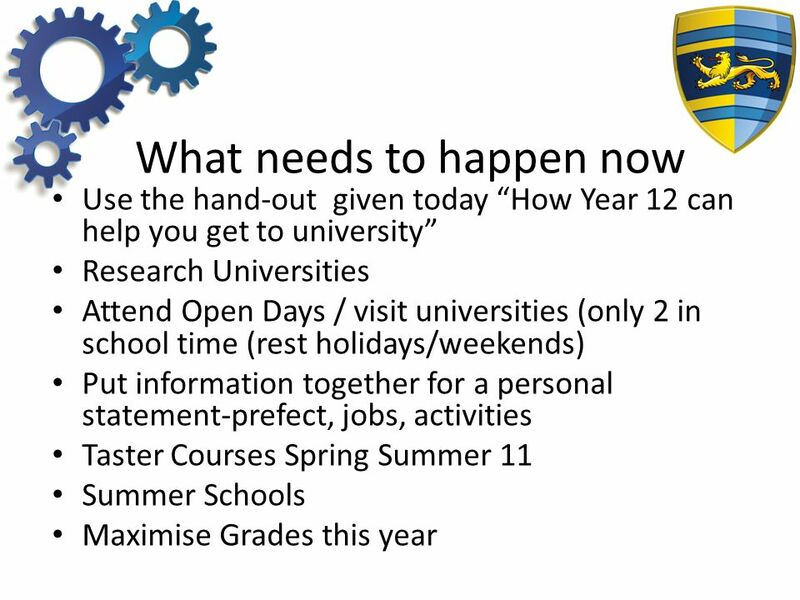 Year 9 GCSE Information Evening. 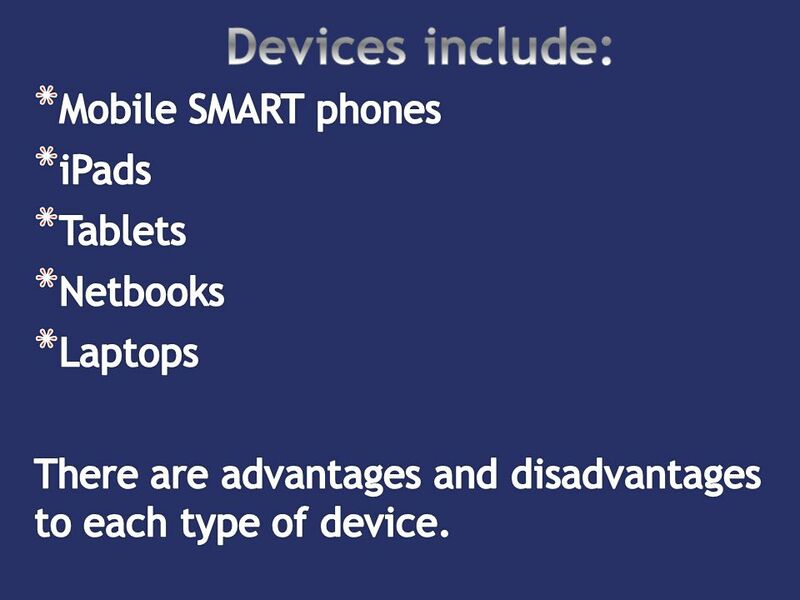 What choices are available. 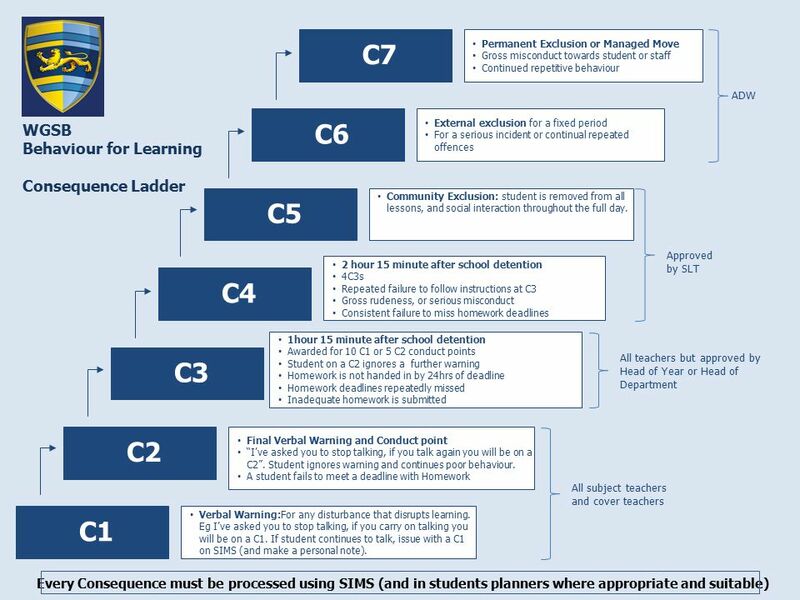 What the process is. 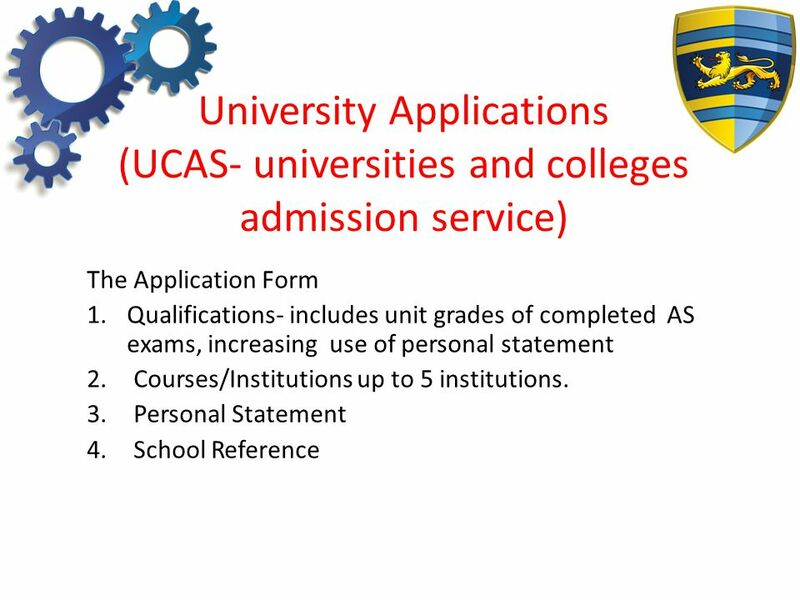 UNIVERSITY APPLICATION AT THE KJS 6 TH FORM COLLEGE. 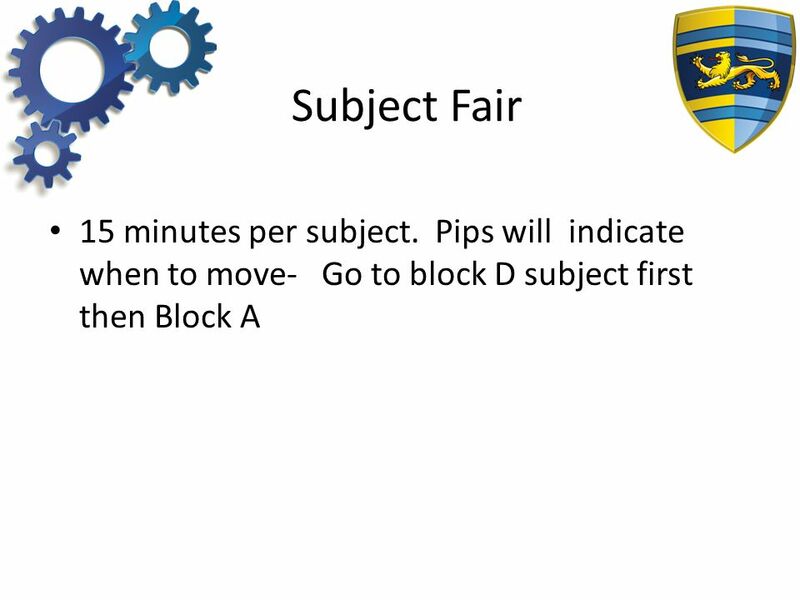 NBP16 PEG Keeping on Track 4th February 2015. 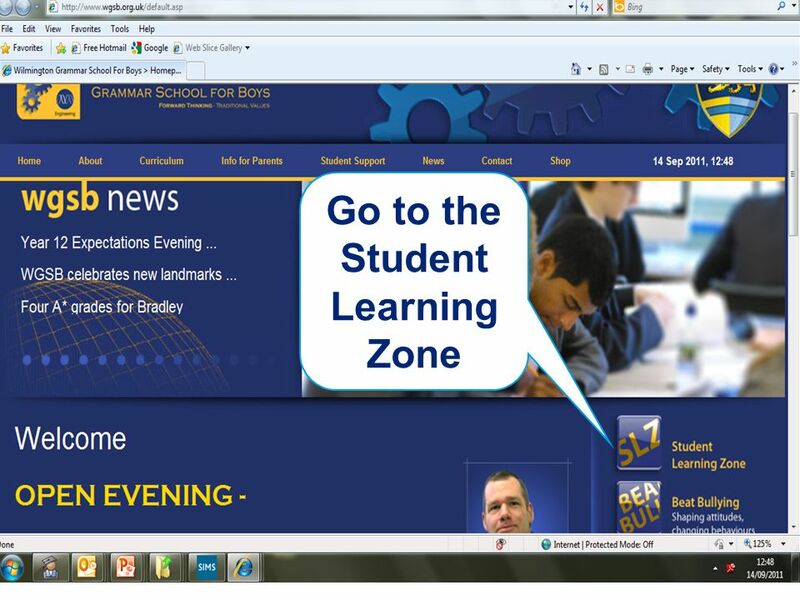 Welcome to the KS4 Transition Evening Learning together, shaping the future.